NEWSAmerica’s Fossil Fuel Demand Will Go Down Because of These! Fossil fuel undergoes three conversion processes, thermal, mechanical and electrical. These processes extract 40% from fossil fuels. This means that 60% of the energy input to the system is wasted. It comes from carbon-based organic matter. Using this type of electricity generates greenhouse gases. The gas produced is often referred to as a ‘cleaner energy source’ as compared to the carbon emissions of coal. America’s energy transition is no longer theoretical. 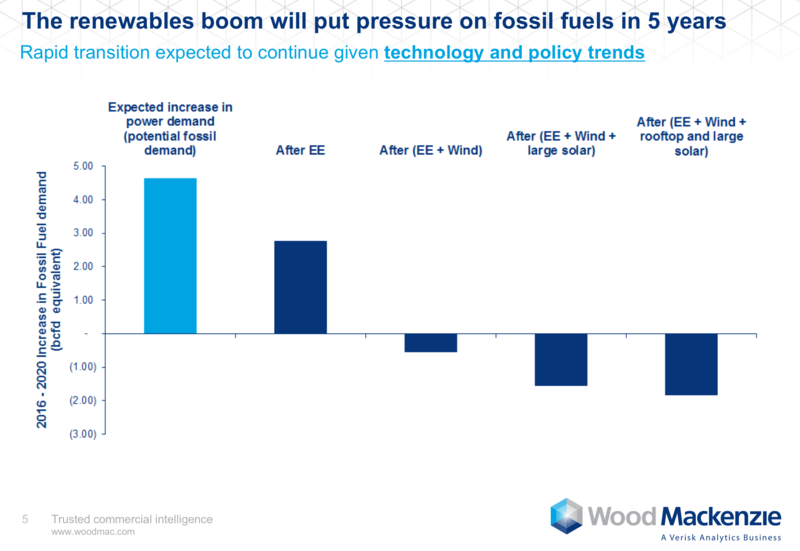 The chart below comes from Prajit Ghosh, the head of Americas power and renewables research at Wood Mackenzie. In the next five years, gross fossil fuel demand is expected to rise by 4 billion to 5 billion cubic feet per day. However, net demand — gross demand minus efficiency and non-dispatchable wind and solar — turns the trend around. That change is playing out in regional power markets across the U.S. In every single market, there’s a clear decline in coal consumption. 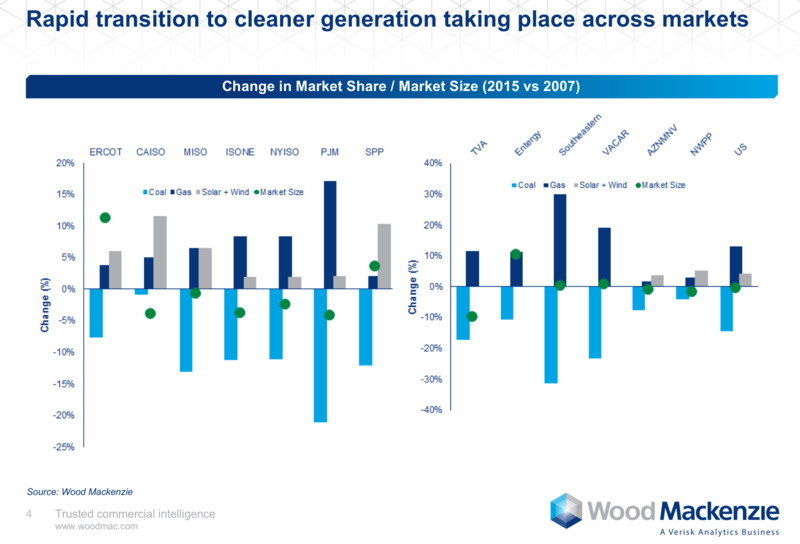 And in a majority of markets, there’s an equal positive change in gas and renewables consumption. According to a recent report from Moody’s, cheap wind alone is putting 56,000 megawatts of coal plants at risk — even without any additional federal regulatory pressure.